A Heart’s Promise is another compelling story in the Journey of Heart serialization! After meeting Emmie Croftner in A Heart’s Betrayal, I was eager to continue her story, as well as the stories of Rand and Sarah and Jacob and Amelia. Secrets and surprises in this fifth installment set the stage for a dramatic conclusion. I love the intrigue and romance of this serialization and am eager to read the final story, A Heart’s Home! The Journey of the Heart serialization begins with A Heart’s Disguise and includes six installments that will release monthly from March through August. These stories were originally published in two books, Where Leads the Heart and Plains of Promise. A complimentary copy of A Heart’s Promise was provided to me through Litfuse Publicity in exchange for an unbiased review. I appreciate the opportunity to read this book and offer my thoughts. Will the promise Emmie makes to her friend mean the end to her dreams of a future with Isaac? 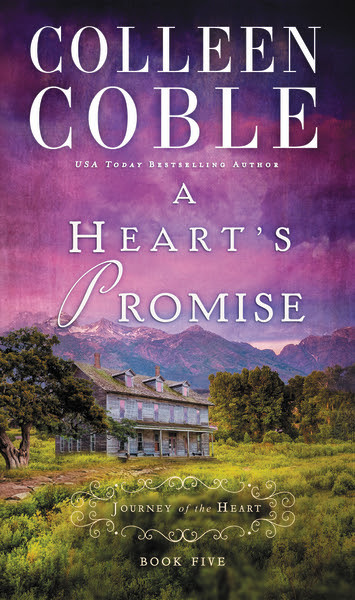 Find out in book five, A Heart’s Promise, of Colleen Coble’s A Journey of the Heart series. 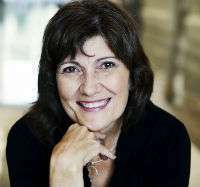 Colleen Coble has sold over 2 million novels worldwide. Seagrass Pier, the third installment in her acclaimed Hope Beach series, marks a new highpoint for emotion and complexity in Coble’s addictive brand of romantic suspense.